Five years after establishing the Thembalethu Nursery in Nkomazi, Mpumalanga, Trans African Concessions (TRAC) has officially handed over the initiative to Thembalethu Nkomazi – a grassroots Non-Profit Organisation (NPO). Celebrating the handover are, from left: Kathleen Greeff, TRAC Social Project Manager; Cleopas Maseko, Thembalethu Nkomazi Trust; and Sally McKibbin, Thembalethu Nkomazi Trust. How good is this story in terms of a roads concessionaire working with and for the good of the community to the benefit of all – and especially to the benefit of the environment. Five years after establishing the Thembalethu Nursery in Nkomazi, Mpumalanga, Trans African Concessions (TRAC) has officially handed over the initiative to Thembalethu Nkomazi – a grassroots Non-Profit Organisation (NPO). This rural nursery originally fell within TRAC’s environmental responsibilities scope. 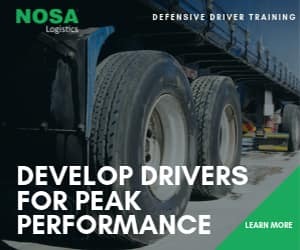 It was conceived as a precautionary measure against the adverse effects that the extensive upgrade of the Crocodile Gorge in Mpumalanga in 2013 may have had on the local vegetation. However, it proved so successful that it eventually also served to stabilise the negative impact that extensive road infrastructure development had on the fauna and flora in other regions of the N4 Toll Route thus playing a pivotal role in TRAC’s flagship environmental CSI project – Greening the N4. 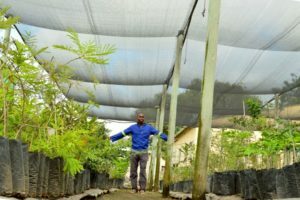 The nursery, which is now fully managed and operated by members of the Nkomazi community under nursery manager Nicholas Mhlanga seen here, also serves as a social economic development project for the Thembalethu community. The nursery, which is now fully managed and operated by members of the Nkomazi community, also served as a social economic development project for the Thembalethu community. In the five years that TRAC managed the nursery it not only covered its overheads, including staff salaries, it also established the required infrastructure including a borehole, irrigation system and green house. Although the initiative started off small – with the collection of seeds from indigenous trees and empty 2-Litre cold drink bottles used to germinate the collected seeds – today it is a well-established, profitable venture. 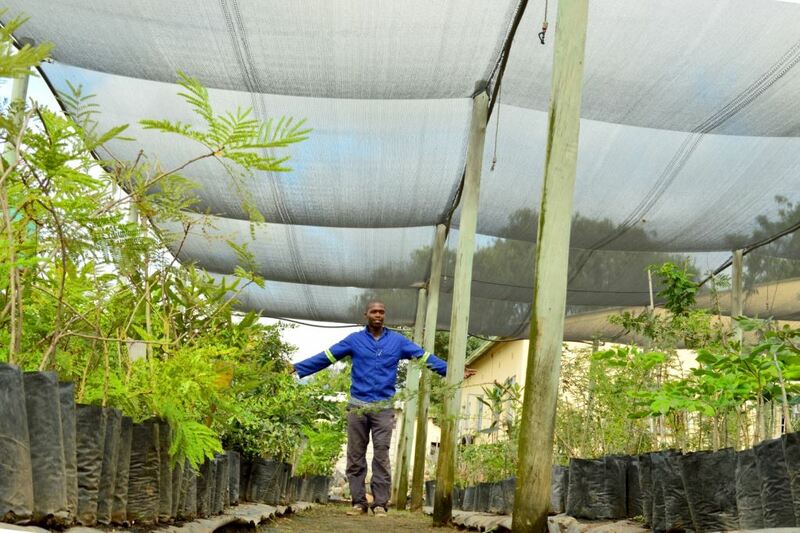 It not only grows and sells Lowveld trees, but also trees indigenous to the Highveld area to a variety of clients. 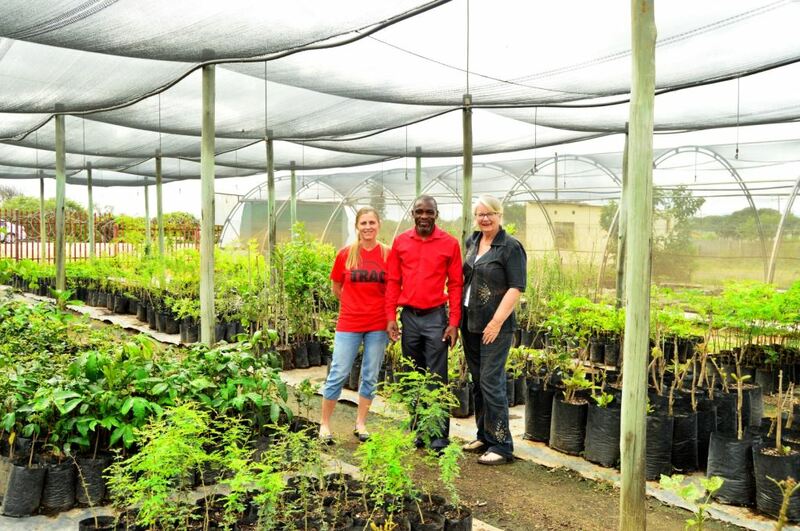 At the end of last year, Thembalethu Nursery was completely self-sustainable meaning that TRAC’s original goal of the five-year year project had been achieved. This resulted in TRAC reducing its support and taking on a core-client role. In view of this TRAC recently signed over the reins to Thembalethu Nkomazi which also runs various HIV/AIDS awareness and poverty-alleviation programs in the area. TRAC is extremely proud of the success achieved in this CSI-driven project and wishes the NGO success in its new role. “We believe that Thembalethu Nkomazi will achieve even greater things with the Thembalethu Nursery. 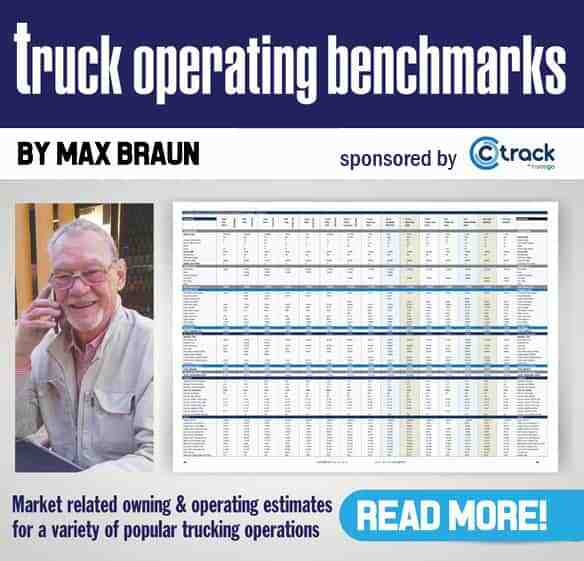 Being a local outfit makes it the ideal organisation to take this lucrative community-business to the next level,” says TRAC CSI Manager, Adri Fourie. Good stuff TRAC! This is empowerment at its best.